The Lomography Gallery In West Hollywood Hosts A Screening And Concert With Macedo. Sure, Instagram and Hipstamatic are great for gussying up pictures on the go, but photo purists know that both popular phone apps owe a lot to the folks behind Lomography. The company champions film photography, and offers a huge selection of gorgeous cameras, film, and equipment. 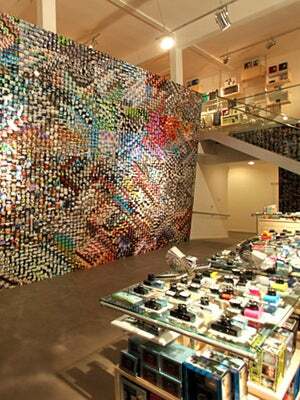 But even fans of the brand might not know that Lomography also hosts super cool events at their gallery store in WeHo, such as parties, workshops, and film swaps. This Saturday, Lomography is hosting a joint event with the lovely pop duo Macedo. Twin sisters Michelle and Melissa have used Lomography cameras in their music videos before, so it makes perfect sense that they’d both screen their newest vid and perform a mini-concert at the gallery. So. put this special bash on your calendar, and get psyched for a triple threat night of film, art, and music! When: January 28th, 7p.m.to 9p.m. Where: Lomography Gallery Store LA, 7998 Santa Monica Boulevard (at North Laurel Avenue), 323-301-1414; RSVP here.